Playskool Heroes Transformers Rescue Bots Beam Box Game System Only $16 + FREE Prime Shipping! 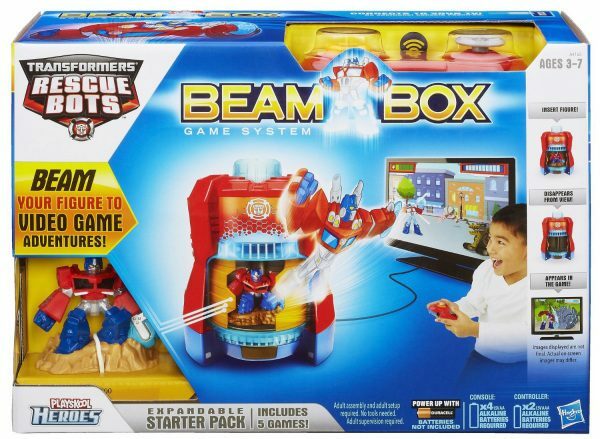 You are here: Home / Great Deals / Amazon Deals / Playskool Heroes Transformers Rescue Bots Beam Box Game System Only $16 + FREE Prime Shipping! HOT gift idea alert! Grab the Playskool Heroes Transformers Rescue Bots Beam Box Game System for just $16 + FREE shipping with Amazon Prime or Super Saver Shipping! This retails for $59.99, so this is a HOT price! If your kiddo is into Transformers, this is the perfect time to grab a cool gift for your holiday stash!